Nothing is more green than recycling. we live the green life. Sometimes ordinary things can take on a new purpose. for a purpose outside it's calling . . .
a jar holding buttons . . .
but in some cases rethought. Including a few items from my own home. In the 30s this building was an office space. An now you call it home. pulled from it some good pieces, and build some new dreams. had a number of things you could put to good use, too. Modern green living - the old fashioned way. a door as a table. and an accordion table I finally had to break down and buy I loved it so much. This set is so big I am having to break it up by format. 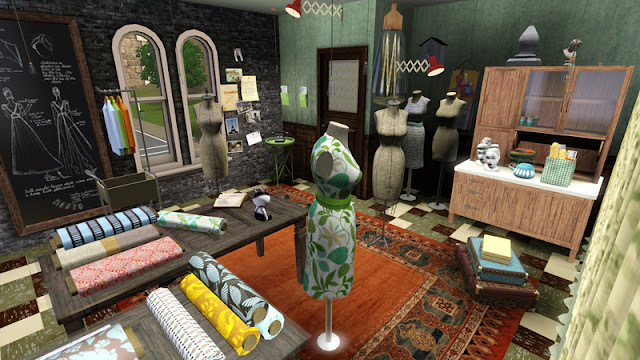 January 10, 2015 - Hey TS2 players!! Just learned that m0xxa converted the stacked bowls from this set for TS2 - you can find those here! They're gorgeous!! ALSO - the Folding Door Screen & Window Mirror can be found in this post. WOO! 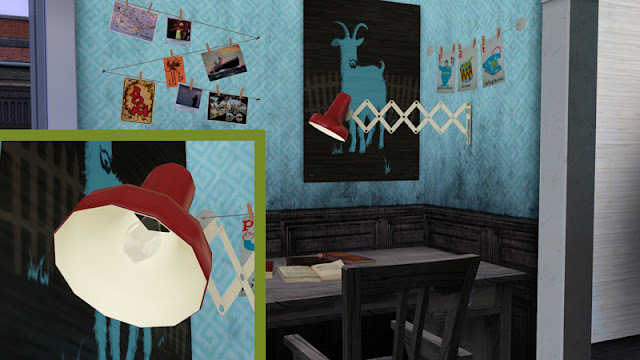 The S&H Sign, Door Table, Trolly Cart Coffee Table, Accordion Wall Light, and Accordion Table have all been converted to TS2 by m0xxa - you can find them here! I hope you enjoy this set as much as I have creating it. Perhaps it will inspire you to see thing a new way. Some parts of this set you can read about the pains that went into it here. as well as TSRW in general. 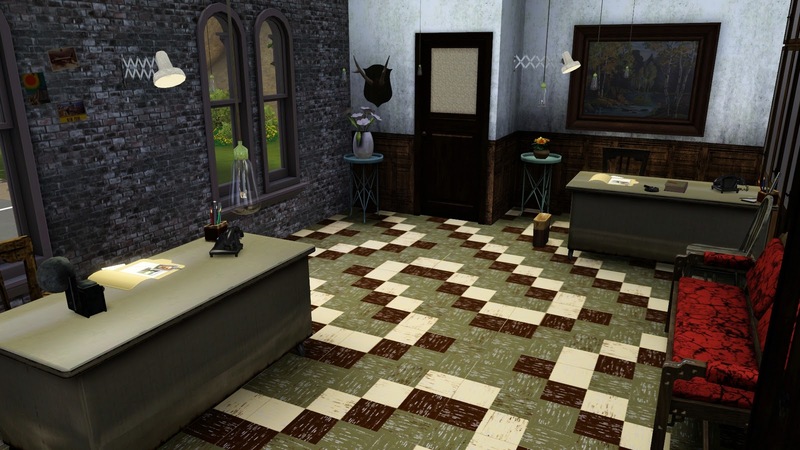 I've already gushed about this set on the Living Sims forum, but I just wanted to say that I love the history lesson and the way you transformed the space over the decades. So cool! Can't wait to use the set...I'm one of those people who always buys everything "new" because I'm not good at seeing possibilities in worn out items, so this is definitely inspiring. 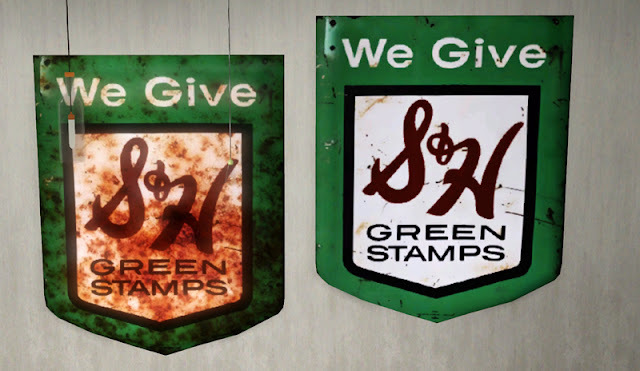 S&H Green Stamps, now that bring back memories. Grew up on those things, my mom would be so mad if I didn't bring any back after sending me to the store. Remember many of times walking back to the store with the receipt, requesting those things. LOL! Great set, love what you did with them. 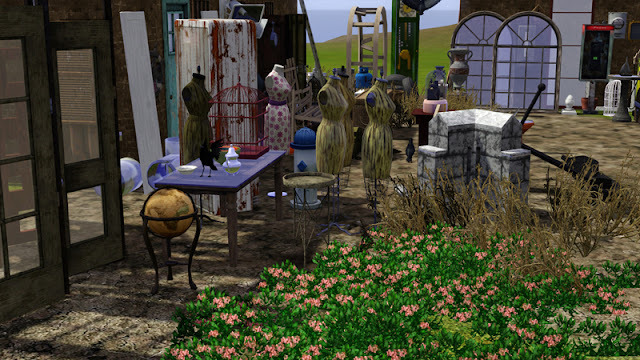 BTW, when can we go garage saling/salvage hunting/antiquing/estate saling? Cause you'd find all the good stuff. Amazing work, Bau. I have that exact mirror in RL. Now my self sim can have one too. Thanks! Thanks everyone - this set is a complete labor of love so I am really happy that people like it. I could have talked for hours about each item - especially the ones from my own home. The dress form I found in a dumpster in Scituate, Massachusetts - the metal sign hung in an small funky antique shop I worked at called Cousin Bills (hope someone else remembers that place - it was the coolest and the owners were amazingly fine [and talented] people). 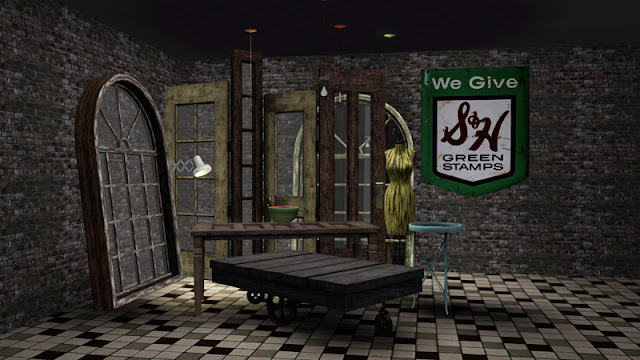 B - I remember Green Stamps too - when I was a little kid they were strewn in a kitchen drawer - I don't know if they were ever used. Did you know if you had some they are still worth something?? I was shocked to see that! veronarelapse - Thank you - I really appreciate the feedback as your objects are always so pristine! Thank you! Lex the mom - any time - I love getting on my hands and knees to look at a bunch of dusty stuff! 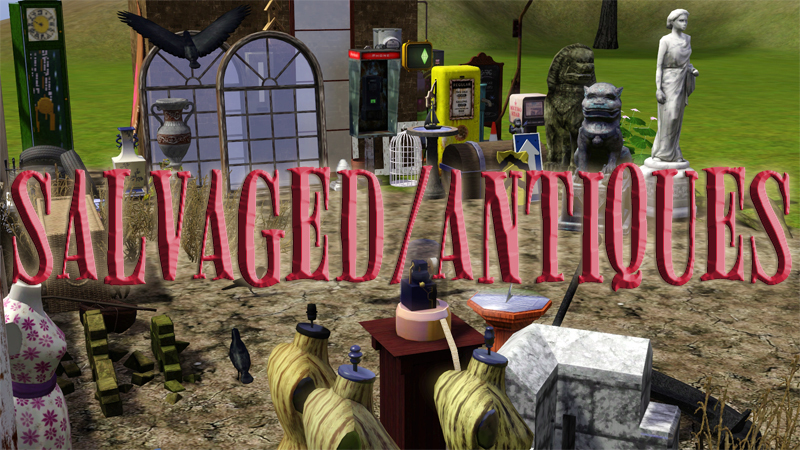 I kid you not - if I could I would go back into the antique business as it was very rewarding, but hard work for little payoff. Besides - I am a stuff-monger. I love interesting things. 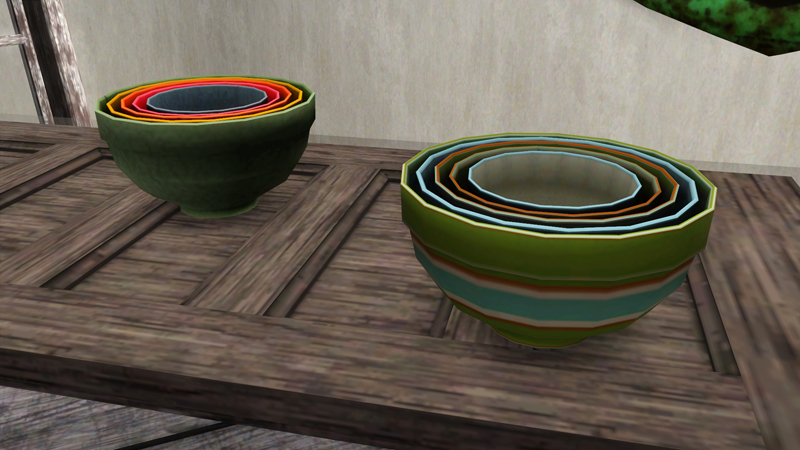 I really have no room to collect more stuff today, but always looking for interesting things. I love these! Finally my sims can go thrifting/treasure hunting too. I also remember green stamps, from when I was a kid. Wonderful. 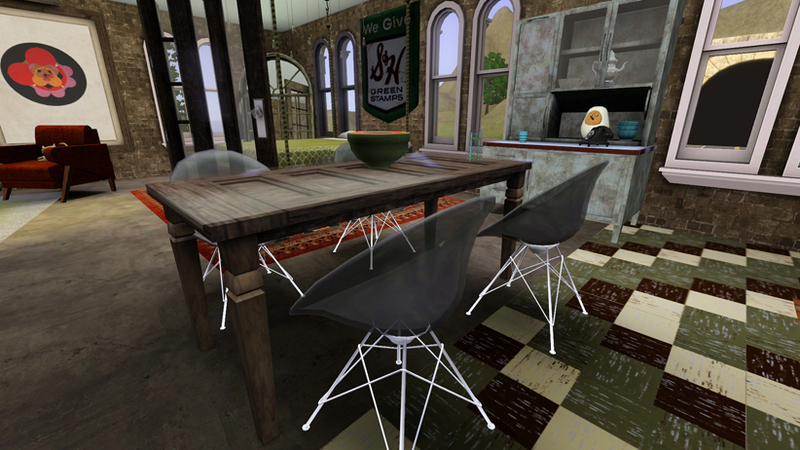 I can only imagine what your actual interior design must look like - makes me want to beg to be an apprentice! Speaking of hunting for dusty stuff... Do you ever watch American Pickers on History Channel? I love it! About the stamps, I didn't know that. I have some of my mom's stuff in storage right now, I have to check if there any S&H stamps in there. Going to Atlanta in the spring, maybe I will see you at some consignment, antique, thrift shop. I love antiques also. Love stripping them and give a new finish when the original looks terrible. Damn it BOB - where were you when this was being tested?! Not one tester found this problem and there were a lot of them!! I kept looking at the file in TSRW and thought the footprint looked correct, but one box - ONE was unchecked and damn it if that wasn't the box that creates the impassable flag. What a gaff! Thank you for noticing this - I will be uploading a corrected file shortly. Love this whole idea! It' so creative. I finally got the chance to check this set out in game and it looks wonderful! You're my new precious...I will hug you and squeeze you and love you and call you George! 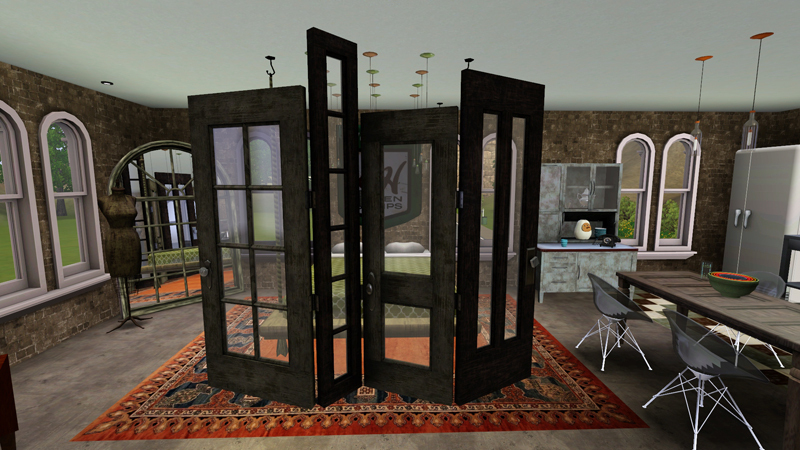 Bau - check the comments under your new version for the door ;). Wow I haven't been here for a long time and haven't seen that you did some nice stuff) This set is adorable, love it, thank bau! Also, love the story... Nice idea! Fun! 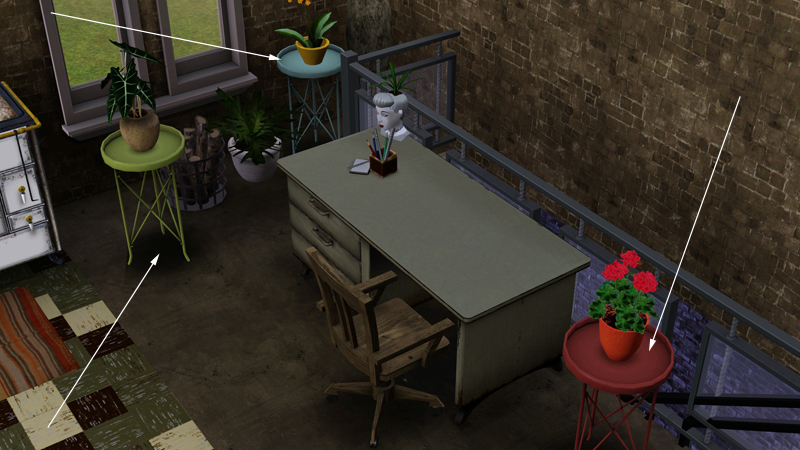 I absolutely love the door made into a table. Also, I think it's about time! Your stuff is gorgeous and genius, IMO. Just realized you might think I was spamming you or something. I'm not. Your mirror was posted as a "find" on MTS. That's the link, above. Thank you! I went over to have a look and got all misty! I have always enjoyed this set - I hope people are able to rediscover it. Thanks so much!! 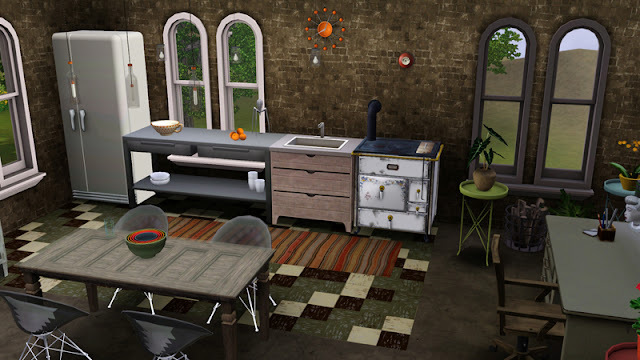 I only discovered your blog now but I love love love all your creations - it is exactly what I have been looking for all my sims life! Thank you for sharing. Hey Stéphanie - it's incorrectly linked, but I have it credited to Cemre (TSR) - I don't visit that site anymore, but they should have a search feature.